Contrary to what you have always been told, acne is not caused by surface impurities such as dirt. Acne is actually caused by blocked pores. Sebum (oil) which normally drains to the surface gets blocked and bacteria begins to grow. So, contrary to what I was told as a teenager, frequent washing may actually irritate pores and cause them to become clogged. A washcloth can add even more irritation. Your best bet is to wash very gently with bare hands, and only wash twice a day. Tree Tea Oil: One of the most effective acne treatments! A powerful antiseptic. Massage a drop into the blemish. ACNE TREATMENT GEL: A powerful combination of natural ingredients that treat the most common concerns associated with acne, helping to clear current blemishes while preventing future breakouts. Salicylic acid encourages proper exfoliation to slough off dead skin cells and unclog pores. Licorice extract helps maintain a balanced moisture level while alpha-glucan oligosaccharides help create a beneficial skin environment. Algae extract and Artemisia princeps leaf extract provide skin-soothing properties. Apply a thin layer evenly over face until completely absorbed. Follow with moisturizer as needed. Use morning and evening. For best results, use in conjunction with the Natria Balancing Regimen. PSYLLIUM HUSKS: Take daily to clean your colon which will aid in clearing up your skin. 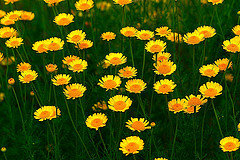 CHAMOMILE, ROMAN: Apply a drop directly to blemish. Serves as a inflammatory agent. GERANIUM: Massage a drop into the blemish. Has properties similar to an astringent. LAVENDER or ROSEWOOD: For dry skin, steam with a few drops of either oil. AVOCADO: Make a paste with a little water and wash face with. GARLIC: Rub the blemishes with garlic cloves several times a day. 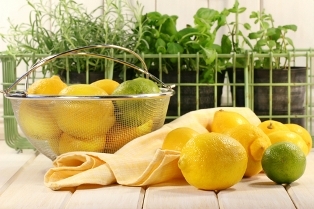 LEMON JUICE and ROSEWATER: Apply equal amounts with a cotton ball, leave on for 30 minutes, wash, repeat for 15-20 days. Reduce Stress: Studies show that anxiety and stress can exacerbate acne.